Mobile live video is a phenomenon which we have seen go from strength to strength in recent years. It’s clear that tech giants like Facebook and YouTube amongst others are in a constant battle to lead the charge on mobile live video and be the dominant player in this space. For all those not in direct competition with such companies, this rivalry for supremacy is actually a blessing. 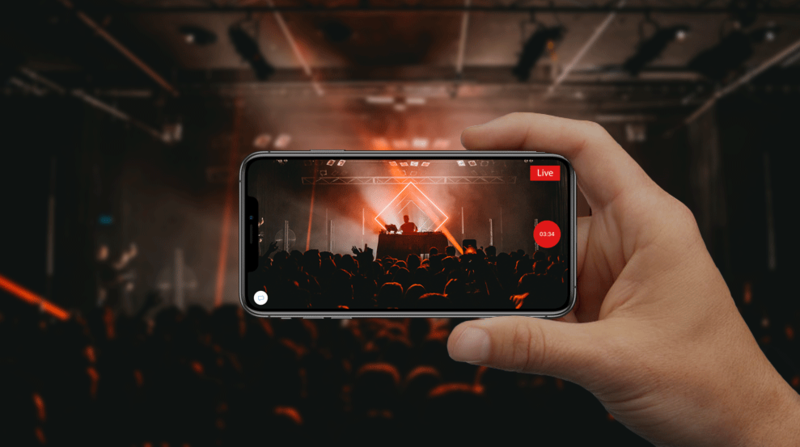 Not only are they developing their platforms but they are also injecting billions of dollars into promoting mobile live video and its benefits to the masses. Well to start with, the public is becoming accustomed to viewing live video. It’s fast becoming the most popular form of online media consumption. According to studies conducted by Magid research consultancy, almost 50 percent of all online users in the United States watch some form of live stream every week. The majority of those views typically occur on Facebook or YouTube which respectively hold 48 percent and 44 percent of those live views. Platforms such as Instagram (28 percent), Twitter (19 percent), and Snapchat (17 percent) continue to trail behind in their wake. Where does mobile live video become useful? People turn to live video for a number of purposes. Breaking news is by far the most popular category for live video, closely followed by videos posted online by friends or family, and then ‘how-to’ videos or tutorials. To break that down further, the main reasons that people favour live streams are due to their need to feel informed and updated (25 percent), because it makes the viewers feel like they are involved and part of a specific event (20 percent), and because people believe live streams to be more authentic (17 percent). Live video is constantly proving its worth. It’s becoming a baseline feature, meaning that consumers are now beginning to expect live video as standard from all their apps and online platforms. Due to its increasing popularity, live video will undoubtedly generate increased revenue for your company. Such engaging features permit companies to make higher revenues from online video advertising or premium upsell by placing the live video content behind paywalls on your platform. The research group, eMarketer, forecasts that the market for digital video advertising will hit $13.4bn by 2018. Here at Bambuser, we offer brands, organizations and mobile platforms, complete solutions for integrating mobile live video. Our comprehensive technology provides complete solutions for both capturing and streaming live videos to your apps and online platforms, and also for streaming user-generated content directly from your audience. Mobile live video is something that is here to stay. If you are not already embracing it, you should consider it as soon as possible. Bambuser will take care of all the complex video infrastructure and maintenance, leaving you to focus on your core business. We take the pain out of integrating mobile live video – when using Bambuser, you can have a live video solution up and running within minutes.